This is the lead form override for "My Recent Sales". My smart strategies create successful sales. Together more than 450 sets of clients and I have celebrated a record breaking sale price, a smartly navigated bidding war, laughed and cried together, run with our dogs or just sat and talked for hours. I enjoy the art and science of architecture but I love people. Investing my time learning what you need from me and the next home allows me to create a custom road map just for you. I manage your needs in a way that will leave you feeling comfortable, valued and confident throughout the process. This isn't work for me, it's just what I do. In 2017 we earned the #160th position on the Wall Street Journal's real trends list of the most successful 250 agents in the country with only 2 other Massachusetts teams ranking on the list. It's not about "selling" your home. I have an ongoing 12 + year love affair with the act of creating a story that you are proud to share. When my sons or husband meet a buyer or seller client and hear how I made them feel, the impact I had on their life financially and emotionally I am inspired. This feeling makes me leap out of bed in the morning and do it all over again. I'll be here when you need me. Creating a stunning, well crafted story with attention grabbing visuals that inspire feelings about your home and shows what makes it so unique is invigorating. Sharing that story with the world and compelling house hunters to stop and take notice, seeing them recognize it's perfect for them, negotiating the most impactful offer for you and managing the transaction to bring you to a flawless outcome is what I adore. I have the experience you need to make smart choices about your options. Will receive multiple offers in under 5 days. Will ultimately sell for 100.4% + of our asking price. Will reach about 80,000 people in our first 48 hours, some will reach 170,000+. This unusually high success is due to my efforts and local expertise in the Andovers, Merrimack Valley, North Shore & Seacoast Ma areas. These extraordinary results are driven by a highly focussed rich and robust marketing strategy. My techniques are unlike any other firm in New England. By being different we achieve far better results at a faster pace with more buyer attention. At Bentleys we are Essex County's Most Trusted Real Estate group ranking #1 in ALL Of Essex County for amount of homes sold since 2014. We aren't just #1 in Newburyport, though we were voted " Best of Newburyport" in one of the most competitive markets in the country. 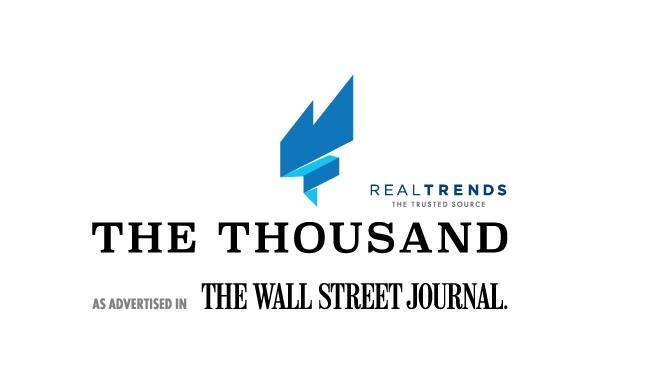 In 2017 we earned the #160th position on the Wall Street Journal's real trends list of the most successful 250 agents in the country with only 2 other Massachusetts teams ranking on the list. I personally have a proven history of success and reputation for managing record breaking sales in North Andover, Andover, Boxford, Salisbury, Haverhill & more communities for average price per square foot, fastest sale, highest sale prices etc. Together Bentleys and I have the experience, expertise and relationships to achieve your successful move whether you are Selling, Buying or both. In my industry the large majority of home sellers are unable to remember their agents name one year after their sale. My clients turn into dear friends and we keep in touch for many years and their friends become mine as well through their introductions. I'll be here when you need me, handling the little tasks and managing the intricate steps providing you with a comfortable feeling. My supportive team includes attorneys, interior designers, house keepers, contractors, strategic planners, marketing specialists and listing coordinators as well as assistants who all are available to jump when needed to help your sale progress. I personally manage all marketing content, all showing enhancements, open houses and negotiations. You'll never need to worry whether you are protected or wonder what's being done to reach your goal. The extensive services, national and international marketing and highest quality advertising we provide reaches further across the globe, faster than any firm I know of in our marketplace. In the first 48 hours we should reach as many as 80,000 people. My unusually high level of success has attracted national and local media to the homes I market as well as the unique experience I provide those that depend on me for guidance. Here is a link to real , client testimonials about my services. Personal references and phone numbers are available upon request. Read my client reviews, check out the quality of my marketing and when you are ready schedule a confidential discussion with me about your goals. I'll create a roadmap allowing you to make smart choices about your move. Marketing Matters - Get to know what I do and see for yourself why my homes attract so much attention. This lovely home needed immediate attention. I created a set of ads that would attract many different types of buyers. The ad shown below worked beautifully as two of the interested buyers found the home through this link. Lots of agents share their listings on social media - very few are able to reach the masses like we do. Our name recognition reaches across the nation. The attention my listings receive is truly extraordinary. More exposure means more interest. More interest means you have options in your sale. This Andover home was a unique situation. It had failed to sell with another agent just 2 weeks before I was selected to market the home. The seller and I made the decision to increase the asking price by $100,000 in order to attract a different type of home seeker. I incorporated 3D technology, television quality video commercials and story telling marketing to attract many buyers within just a few hours. See cutting edge 3D technology that I use to attract relocating and international clients that are unable to view your home in person prior to purchasing. Yes, this happens! With immersive marketing your home has more options than a home being marketed in the same old fashion with still photos alone. With my marketing the buyer can actually "walk" around your home from their screen and interact with the floorpan. Click the"read more button" to see it in action. 84 Sunset Rock Road Andover - $1,234,000 - Previously listed with another firm without selling. The unique, far reaching marketing I create allowed me to INCREASE the price of the home below by $100,000 and achieve a quick sale in the high end. This lovely home deserved international exposure from luxury home seekers. Without giving away my technical secrets I can share that the ad shown below worked beautifully as two of the interested buyers found the home through this link. This home was a unique situation. It had failed to sell at a lower price with another agent just 15 days before I was selected to market the home. The seller and I made the decision to increase the asking price by $100,000 in order to attract a different type of home seeker. 11 Fossen Way Andover $749,900 - SOLD - Previously listed with another firm without selling. This home was previously listed without selling this Andover home was waiting for it's new owner. My client was ready to move cross country to be closer to family but needed to sell first. BE SURE TO VIEW the interactive floor plan above, you can "walk" around the house as well as view the "dollhouse" view showing the overhead floor plan by clicking the image below. 5 Sioux Circle North Andover - Listed over 3 years without selling by 3 other agents. $640,400. I brought a different approach and 7 offers in 3 days. I found the ultimate buyer and sold this home for more than it was previously listed for. 1 Hoyts Gypsy Lane Newburyport - $762,000 - Previously marketed without selling by another firm. This relocating family was depending on me to reintroduce the home to the market after a failed attempt at selling. They were recommended to me by a home owner in North Andover who I had helped under similar circumstances. Together we repacked the home in many ways and ultimately reached a very wide audience of people who wanted to purchase the home. Many suggested the home needed to be renovated or a drastic price reduction to attract people. With the marketing portfolio that we created we had no shortage of people who saw the beauty in the home. The Roderick Estate North Andover - Price available upon request. Previously listed 9 times without Selling. Marketed 9 times without selling, the sellers were frustrated and ready to move on with their lives. They selected me to reintroduce the home to the market and within 3 days we reached over 60,000 people and received multiple offers. The ultimate buyers wandered into the first hour of our open house event and now are living happily ever after in the Roderick estate.